Are you planning for a DIY pest control? If you are, then you should keep in mind the fact that to make your home completely pest-free, you need to devote a lot of time and effort. Sure, it’s possible to buy some pest treatment products from a local store and use whenever you want, but doing that is not all. You have to conform to some safety measures. Otherwise, the effect could be detrimental. DIY has its share of risks, that’s why hiring professional pest control in Perth is a safer option. 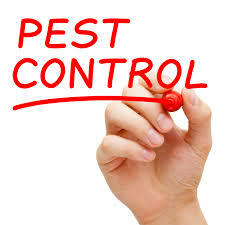 Professionals, such as Chambers Pest Solutions, use products that are made from harmless chemicals which are very effective for eliminating pests but cause no trouble to humans at all. These products are only available to experienced professionals like us and meant to annihilate pests from your property for long-term. If you want to opt for DIY, you should bear in mind that pest control in Perth or anywhere else is not just about spraying pesticides. You have to know the right places to target, the right techniques to use, and use pesticides in the right amounts. It can be challenging and confusing at the same time. We have licensed technicians who know exactly how much pesticide to use, where to use and how to take safety precautions so that your property and family stays out of harm’s way. Before our pest control in Perth commences, we conduct a full inspection of your entire premises and provide you with the findings. Based on the findings, we conduct our pest treatment program.